No, the purpose of banners is not to increase your telephone bill by making longer download times. Sometimes poorly designed banners with very large amounts of animation make it seem that way. However, the true purpose of a banner is to advertise web sites. 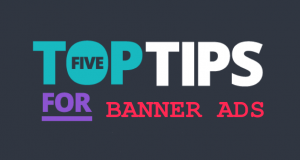 A banner is a small graphic image which advertises a web site. These banners are intended to appear on pages all over the web. You click on the banner, and you are magically transported to a different web page, presumably somehow related to the banner. This should be obvious. You pay’s your money, you get’s your banners displayed a certain number of times. These are less obvious. What you do is create your banners and submit them to the banner exchange service. You then insert some HTML code into your web site. This causes their banners to display on your site. Generally, you can get one of your ads displayed on other peoples web sites for every two or three banners that you display on yours. The cost of these programs is usually free, although most offer an upgrade program of some kind to get more people to see your ads. Are banners effective? Yes, they can be very effective. As a general rule, you should most definitely enroll as many of the free banner programs as you can stand. Two or three is a good number. Remember that you must modify your web site to display their banners … too many banners on a web page can be very annoying to your visitors. What’s cool about the free banner exchange programs is they are “set it and forget it”. 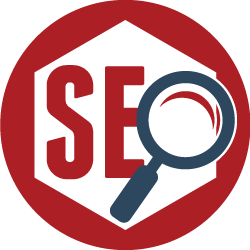 As you get visitors to your site by all means possible, the exchange programs display more ads, and thus your banners get displayed more. Thus, the free programs are not very good to get people to a new site … but they are great once the site is getting some traffic. Important note: if the banner program allows adult or other objectionable ads that you do not want displayed, you generally must indicate this when you sign up. Be sure and do so if you don’t want naked women on your site advertising children’s toys. Megabanners has a self-replicating system of banner pages. You get your banner placed on a page which then gets replicated, theoretically all over the internet.